I received these bars from Yang at Breakbrake17 about a month and a half ago and have been very satisfied with them. At first glance, my initial thoughts were that they were very light and thin, and that only meant one thing for me: that they wouldn’t last. I addressed my concerns with Yang and he reassured me that they'll be strong enough, and I have to admit, I’ve been proven wrong on multiple occasions and feel absolutely confident recommending these to fellow riders. I switched over from the Volume Tricksters, which I found to be a tad bit too narrow for my likings, and instantly began appreciating the angles and width of the new bars. At roughly 25" wide they were only 1.5" wider on either side, but it was the difference of day and night. I personally had a little bit of trouble adjusting my barspins to the wider bars, but that's something that can definitely be fixed with a little bit of commitment. Even still, I felt a little skeptical and had decided to gradually increase the size of the stairs/gaps I attempt. However, at a local trick competition, everything got hyped up and I decided to jump the 10stair just sitting right beside the "arena". *gasp* Everything was great and I had nothing to worry about. 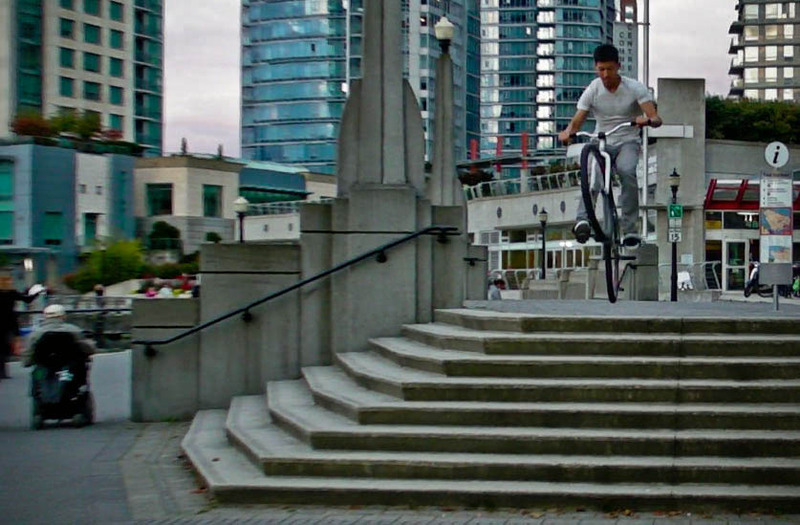 Since then, I've hit the same stairset and other gaps numerous times, and these bars are showing no signs of giving up. So far I'm loving these bars and have already recommended these to a bunch of people. Yes, these are light and thin. No, these are not weak. These will definitely hold up to a lot of abuse! Breakbrake17 handlebars now come in 580mm and 680mm. At $57 shipped to the states, even the price tag screams out your name. You can check them out over at the Breakbrake17 store. Mad props to Breakbrake17 for supporting the scene and providing us with high quality bars at an affordable price! i already have a pair. and they're the best so far. 2" or 3" inch rise? I was thinking about picking up some of these bars, but the trickster v2 bars came out and they loook pretty sick. i know Tom has some and you ride with him sometimes, so I was wondering which one you recommend. It's all personal preference I think. They're both decently wide, but one is 4" rise and the other is 3" rise. If you need higher rise, go with Tricksters. I personally don't like the look of cross-bars, and I don't need as much rise, so I like the Breakbrake17 bars better. Whatever fits your needs best is the route you should go! 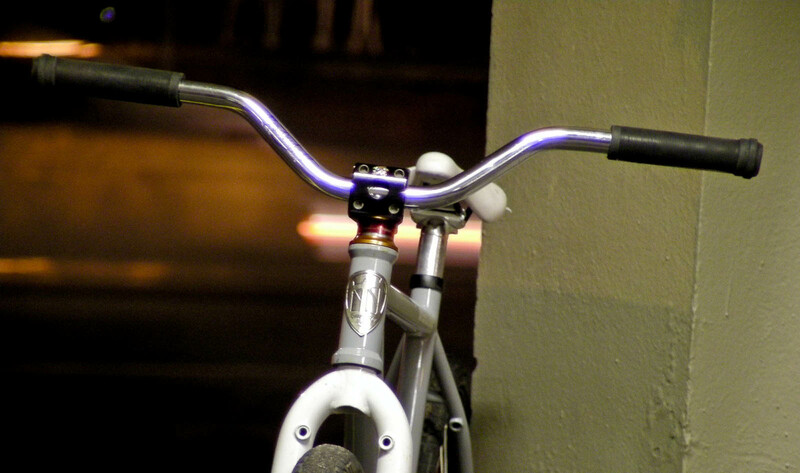 Another difference is that the Breakbrake17 bars are much lighter than the Tricksters though. Good luck!